ClearCorrect™ is a form of orthodontic aligner that gives patients a simple and clear alternative to traditional wire braces, as well as an alternative to other solutions like Invisalign®. With no metal braces, wires or unsightly brackets you have more reason to smile, more often! ClearCorrect™ uses a series of orthodontic aligners that gradually shift the teeth, in small increments. As you wear the aligners, the teeth will continue to move closer to the optimal position, eventually reaching the desired position, which leaves you with a new and improved smile! Getting your perfectly straight smile is probably much easier than you think! The process starts with a simple visit to see Dr. Woodyard, DMD of Woodyard Dental Care, where you will undergo a thorough evaluation to determine if this orthodontic treatment is the right solution for you. Dr. Woodyard will take the time to gather precise impressions, photos, and X-rays that will unveil any potential obstacles to determine whether this orthodontic treatment is the best option for you. Once Dr. Woodyard has determined that you are a candidate for such a treatment method, the impressions will be sent to the ClearCorrect™ Laboratory where the fabrication of your custom made aligners will begin. Generally speaking, you can expect that your custom aligners will be completed and ready for treatment within three to four weeks of your initial visit to see Dr. Woodyard. Every six weeks Dr. Woodyard will evaluate the progress of the process to ensure that your teeth are shifting to the desired degree. In order to achieve optimal results, you must wear your ClearCorrect™ aligners exactly as prescribed by Dr. Woodyard, which generally means wearing them all of the time – only removing to brush, floss and eat. The ability to remove the aligners throughout the treatment process allows for adequate ability to clean and care for your teeth properly, which is one of the inherent advantages of this clear aligner therapy as compared to alternative orthodontic solutions. Many patients who require orthodontic treatment tend to avoid it because they associate this treatment with metal braces. Metal braces take over your smile, and it is all anyone else can notice. 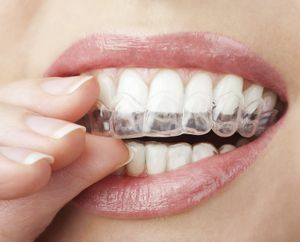 ClearCorrect™ aligners are made from clear plastic. 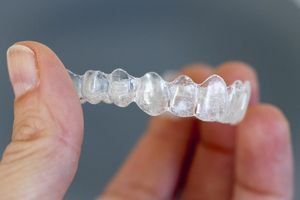 These aligners, which are made from digital impressions of your teeth, fit over your teeth, much like a whitening tray. Once they are set into place, the practically disappear from view. No one will be able to tell that you are undergoing orthodontic treatment unless you tell them. Traditional braces are fixed into place and make it hard to eat with braces. Metal brackets are secured to the teeth with special dental cement, and the archwire that spans your teeth is attached to each one with an elastic O-ring. ClearCorrect™ aligners are removable. They can be taken out to eat and to brush your teeth. While removable, they should be worn at least 20 to 22 hours every day to achieve optimal results in the shortest amount of time. Metal braces can be uncomfortable. Brackets can rub against sensitive oral tissue, while wires may pop free and poke you. These issues can lead to both irritation and bleeding. Sores may also develop that can be slow to heal due to continued irritation. ClearCorrect™ aligners are completely smooth and do not cause any irritation to your oral tissues. When you wear braces, your diet becomes limited. Many of the foods you may have enjoyed eating may become off-limits. When you wear braces, foods that are chewy or sticky need to be avoided. You also need to avoid eating whole fruits and vegetables such as apples, pears, corn on the cob and raw carrots. All of these foods can cause wires to bend and break or brackets to pop free. With ClearCorrect™, you remove the aligners at mealtimes, allowing you to enjoy all of your favorite foods throughout your treatment. Another issue with braces is that keeping your mouth clean can be difficult. You have to worry about brushing and flossing around brackets and between the wires. You may miss spots, or not be able to thoroughly clean around these areas, which can greatly increase your risk of developing cavities. Much like with eating, your ClearCorrect™ aligners are meant to be removed when you brush and floss. You can take care of your teeth just like you always have. Braces require you to have several visits during the course of your treatment. These visits are done so that adjustments can be made. With ClearCorrect™ aligners, we use digital technology to design every step of your treatment. We can create several sets of your aligners, which you change every two weeks. This helps to space out your appointments, leading to less appointment overall. Not only that, but your appointments are shorter. This can save you valuable time in your busy schedule. How Do Braces Compare To Clearcorrect™? Metal braces are a popular and highly effective treatment for crooked teeth. However, they do have one major drawback. They stand out in your mouth, taking up your entire smile. For some, braces can cause more embarrassment than having crooked teeth. At Woodyard Dental Care, PSC, we offer you an alternative: ClearCorrect™ aligners. 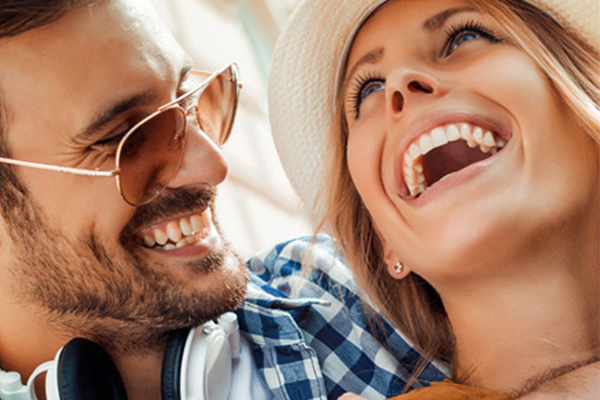 Straightening your teeth with ClearCorrect™ aligners offers numerous benefits. Treatment with ClearCorrect™ aligners uses a series of clear plastic aligners, which are made from impressions of your mouth, to correct the alignment of your teeth. These aligners are changed every two weeks, gradually shifting your teeth to where they need to be and stabilizing them there. Are Clearcorrect™ Aligners Right For You? You will undergo a thorough evaluation by Dr. Woodyard to determine if ClearCorrect™ is the right orthodontic solution for you. Most patients qualify for this type of clear orthodontic alignment treatment, but not all. ClearCorrect™ offers a solution to teeth straightening that is virtually invisible – most people will not even notice that you are undergoing treatment. The aligners are not only clear and invisible, but removable so that you may continue to practice proper oral hygiene and undergo preventative services. They are so comfortable that you will likely not even notice that they are there, meaning no pain like that of which is normally associated with traditional braces. In addition to all of that, they are also affordable! This flexible treatment is not for everyone, but Dr. Woodyard will help to determine if you can benefit from such a flexible straightening solution. Being virtually invisible in your mouth is just one of the many benefits that ClearCorrect™ aligners have to offer. If you are interested in learning more about ClearCorrect™ aligners and if they are the right treatment for you, call Woodyard Dental Care, PSC to schedule your consultation today at (270) 213-6620.